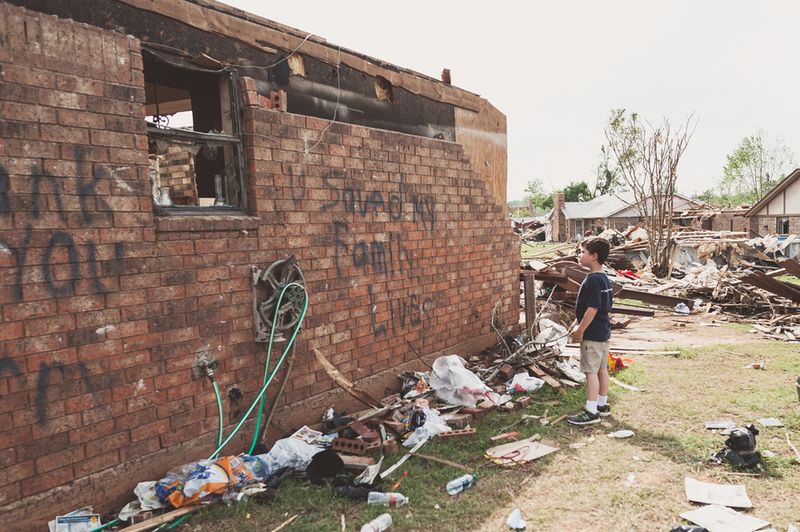 When I heard about the devastation the tornadoes had left behind in Moore, OK, I felt called to go there. I teamed up with the ministry organization, citiImpact, and was able to capture the stories of just a few the many people that have been affected. Here is a story of the love and kindness of a man that saved 23 lives other than his own. 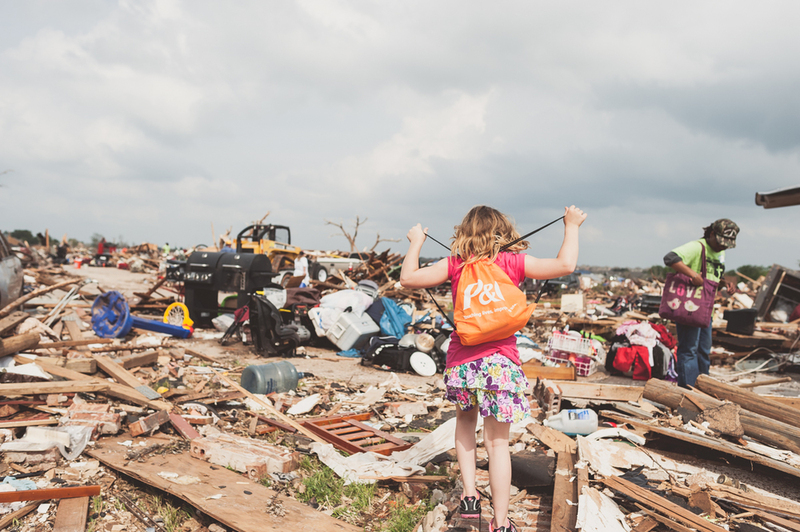 Although Oklahoma is in "Tornado Alley," many homes in the state do not have basements or storm cellars because the red clay of the Oklahoman soil makes it difficult and costly. Jerry is one of the few residents in Moore that has a storm cellar. 2 days before the tornado hit, Jerry peeped over the fence to let his neighbor know that their family was welcome to take shelter in the storm cellar if need be. 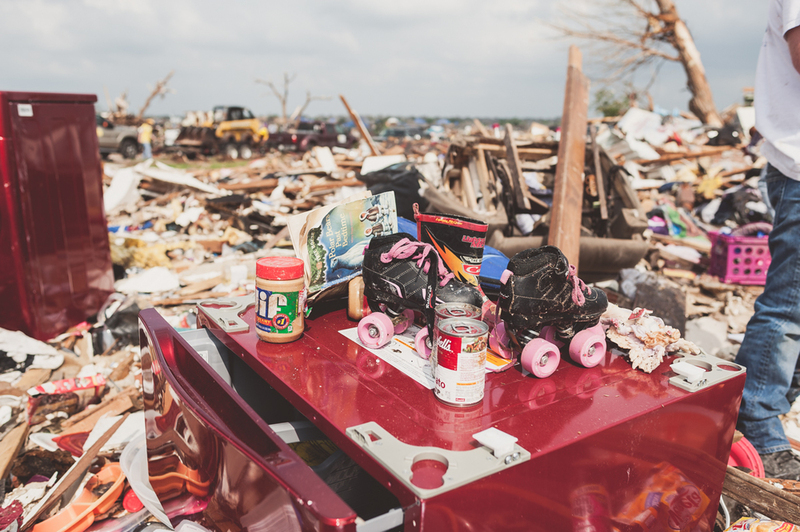 2 days later, the tornadoes hit their neighborhood and his neighbors ran to Jerry's house to take cover. People Jerry didn't even know came running and he welcomed them all in. 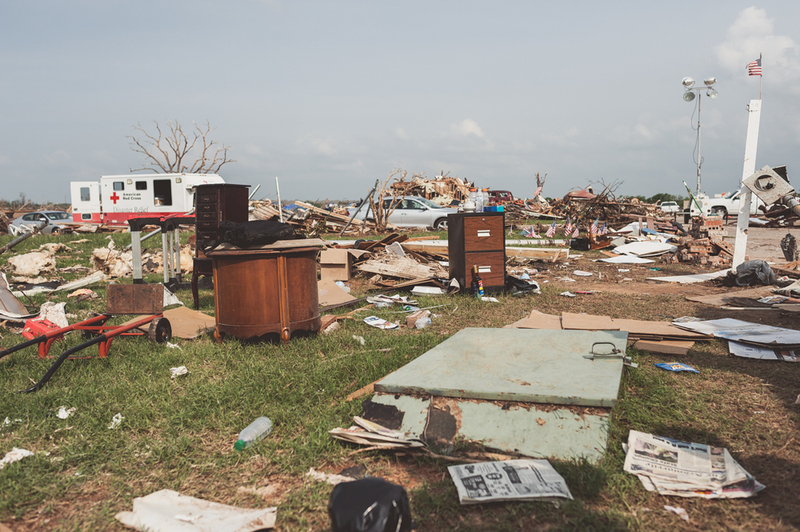 Jerry saved 21 people, including himself, and 3 dogs in his storm cellar. The door to the shelter that saved so many people's lives. 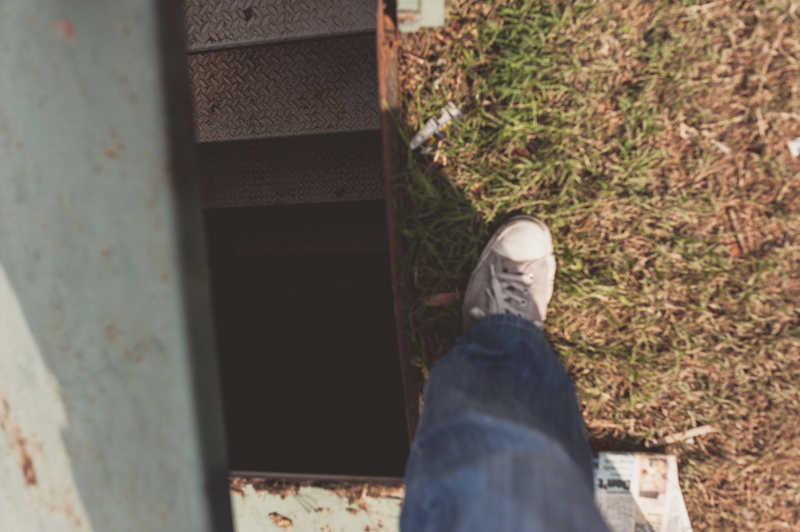 The narrow stairs leading down to the storm shelter. 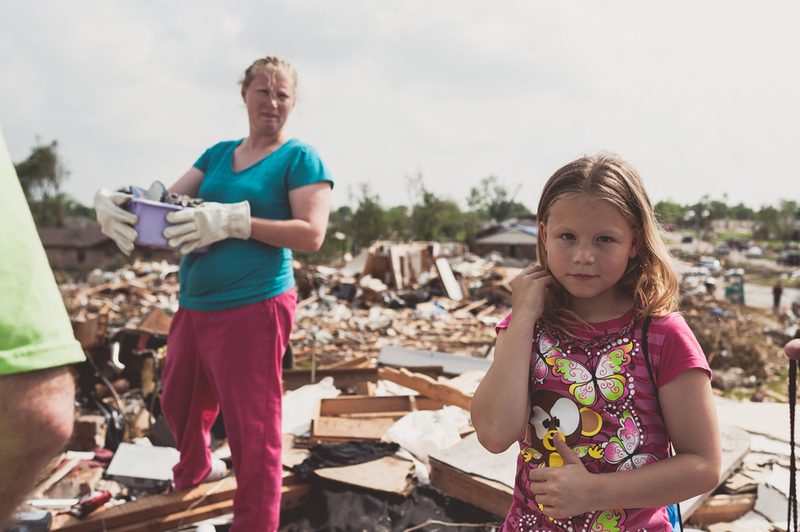 I had a chance to talk to two of the children that had been in the cellar during the tornado. They were very calm about it and stated matter-of-factly, "no, we weren't scared at all." One of the boys described how his mother's hair flew up when the tornado was right above them. I had a chance to talk to him about his experience. He told me he wasn't scared during the tornado. This message tells it all. Thank you Jerry. 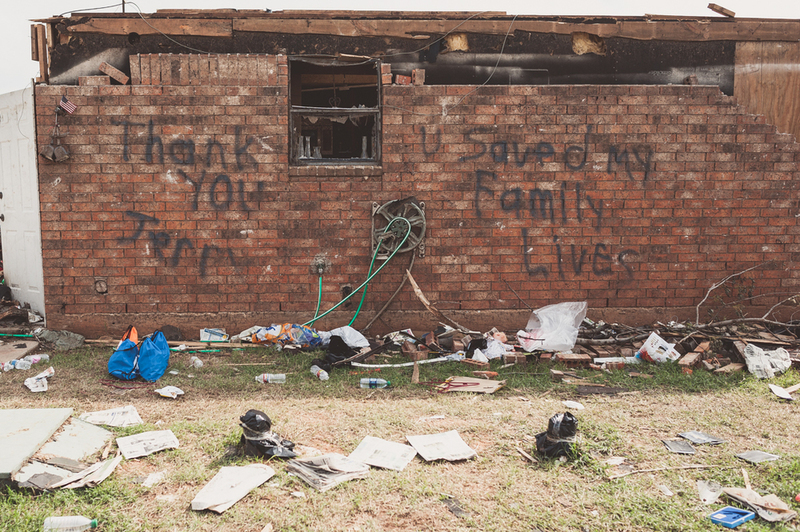 On the wall of what remains of Jerry's house, one of the families he had saved came by painted a message, "Thank you Jerry. U saved my family lives." The families are looking for anything to salvage. 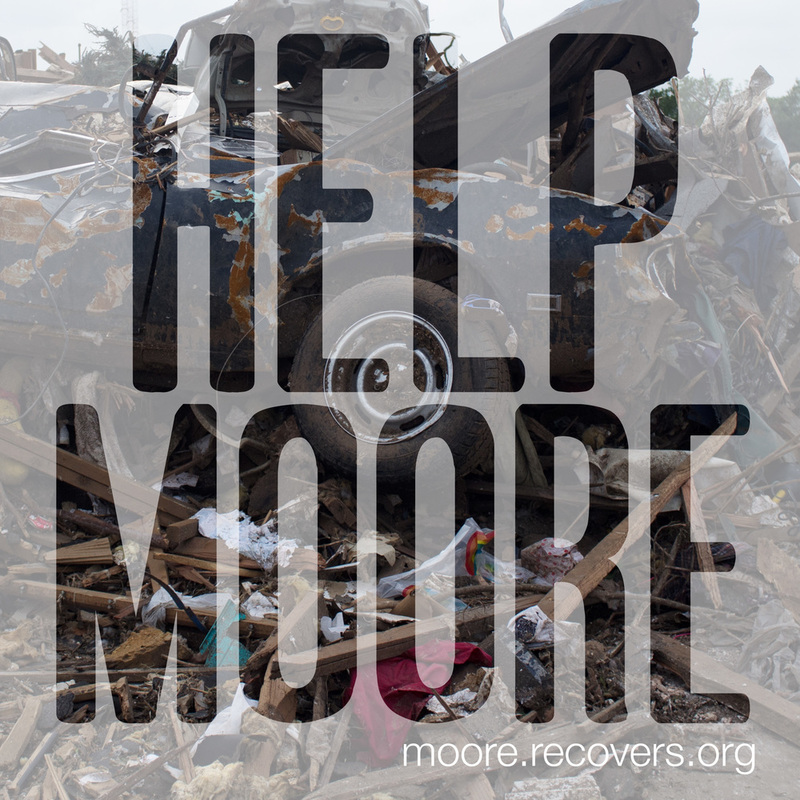 If you would like to help and support, please visit moore.recovers.org. 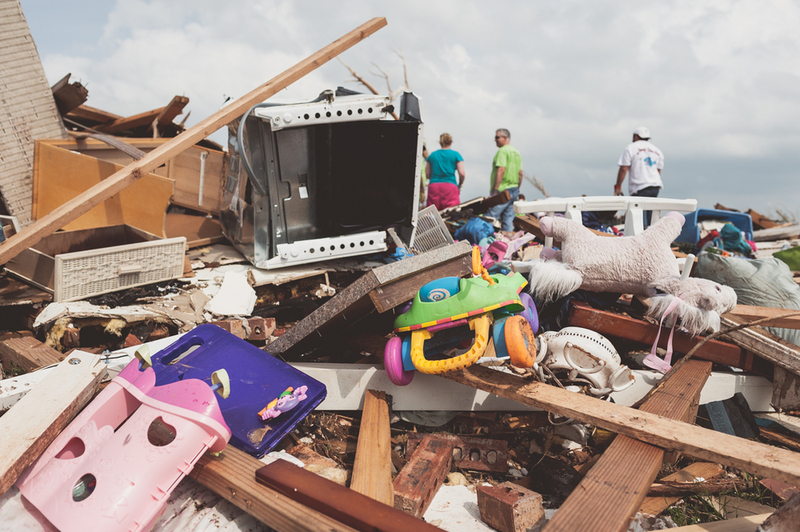 This page is dedicated to serving the needs in Moore, OK.